Lisa is the owner and founder of the now-defunct Product Review Place, the original community for bloggers and PR to communicate, share, and learn from each other. She is also the voice of Life with Lisa, a blog about life in Orlando, FL with her husband and two sons. Her two favorite things are traveling and cooking; however, she also loves writing about technology, family, social responsibility, and other random topics. Up until December of 2011, Lisa worked full-time outside the home as a human resource executive and consultant. However, the power of social media hooked her, and she left the corporate world behind to run her company, In Charge Social Media, LLC. In 2016 she went back to the corporate world as a Human Resources professional, where she works full-time. When she isn’t busy in her professional life outside of the blogging world she is putting together social media strategies for other companies you will find her either hanging out with her family, creating a new recipe, or traveling to her next destination. Lisa is also the Travel Destination Expert at TripAdvisor’s FlipKey for the Orlando area. 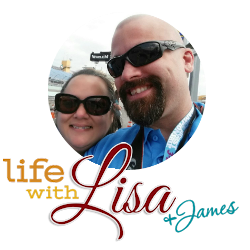 If that were not enough, Lisa also writes for various sites and you can find her work on Let’s Play (Dr. Pepper Snapple Group), Traveling Moms, The Blogger Connection and SheSpeaks to name a few. You can contact Lisa at lisa.samples@gmail.com or lisa@lifewithlisa.com. As seen on CBS Better Mornings Atlanta, CNN, AJC and more! Frigidaire, Post, Ford Motor Company, Whirlpool, Keurig, Wyndham, P&G, WWE, Xbox, MMA Elite, Kraft, Philips, and more!